Part of the Waverley modern lighting range. Unusual single square shade wall light, with a dark finish wall bracket holding a dark wooden shade carrier and square fabric shade. 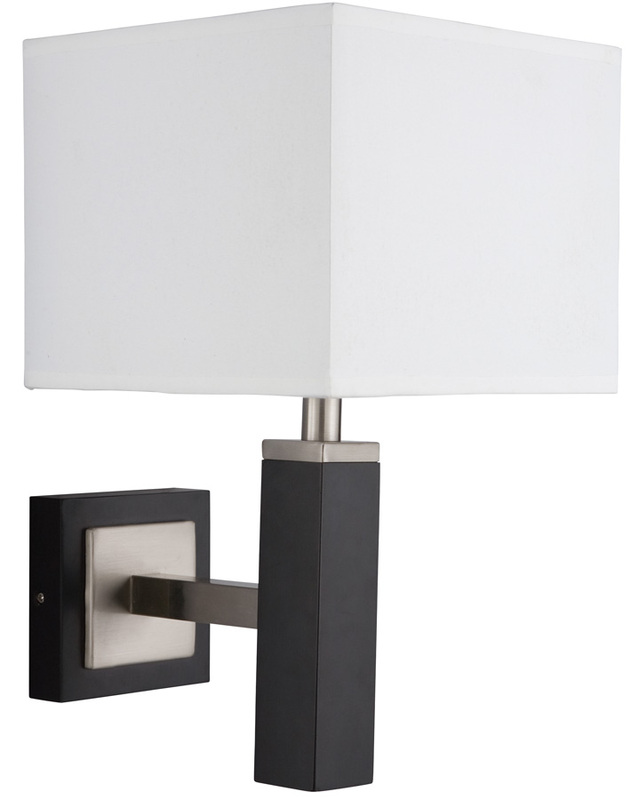 The wall bracket and shade carrier are inlaid with satin silver finish metal detail.